Jack Wills, the iconic British fashion brand has opened a new 6,000 sq ft store in Parkway Shopping Centre, Newbury. The new store opened in Middle Street on Thursday 23rd October, over two floors, close to other retailers such as H&M, Joules and Monsoon. 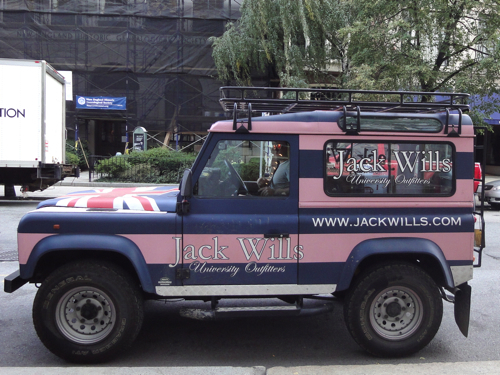 The new store features the classic Jack Wills range for men, women and children and its home and furniture ranges. Jack Wills is joining Parkway’s existing retailer line up, which includes high street and classic fashion boutiques, such as John Lewis at home, M&S, H&M Jigsaw, Mint Velvet, Joules, Cath Kidston, Fat Face, Monsoon, Accessorize and Superdry. The new store will further boost the centre’s overall shopping appeal with the centre already experiencing a 10.9% uplift in footfall for the year to date. - Spend in store, leave feedback at talktojackwills.com and receive a 15% discount to spend in store! - Spend £50 between the 19/11/14 and the 30/11/14 to receive £20 off your next spend over £80!